This species is accepted, and its native range is Medit., S. Central & E. Europe to NW. China. Slembrouck, J. (2010). 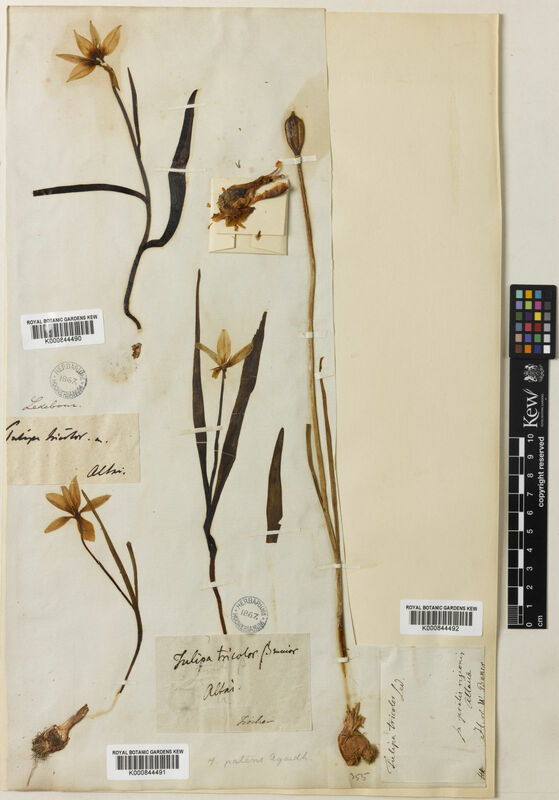 Tulipa sylvestris, een stinsenplant met onkruidallures Dumortiera 98: 24-25.